SUN ’n FUN is more than a fly-in and convention. “Spring Break for Pilots” plays host to a world class airshow as well. Here’s a partial list of the performers scheduled to appear at SUN ’n FUN April 21-26. Don’t see your favorite performer? Check the complete list at the SUN ’n FUN website. Making their North American debut at SUN ’n FUN, the Breitling Jet Team flies seven L-39C aircraft. Breitling Jet Team. Photo courtesy Jez. Since 1953, the U.S. Air Force Thunderbirds have been thrilling millions and return to SUN ‘n FUN in 2015. 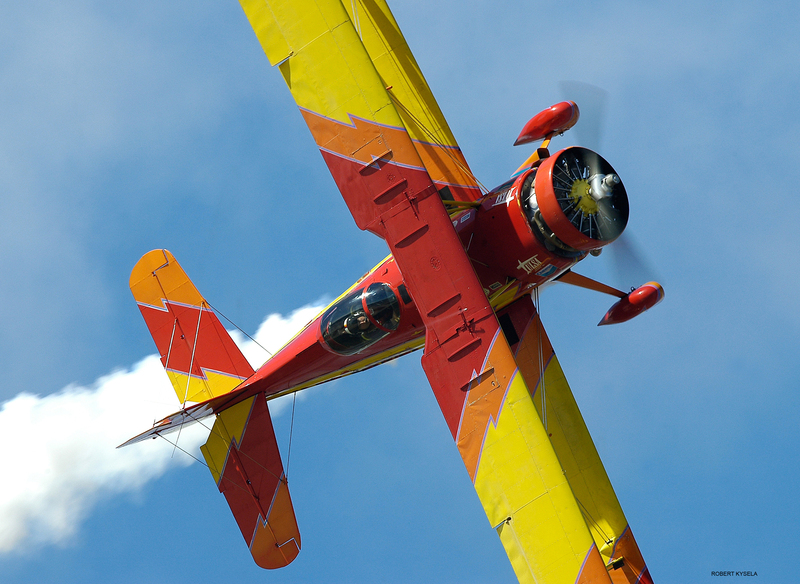 In addition to a full airshow season schedule, Goulian criss-crosses the world as a Red Bull Air Race pilot. Michael Goulian in his Extra 330SC. The Aeroshell Aerobatic Team – using four North American T-6s – has been together for more than 25 years. They’ll appear in both day and night airshows at SUN ‘n FUN. Below is a segment from Aviators Season 2. Pemberton will put her Edge 540 through its paces … assuming she’s not competing as a champion rock climber. Melissa Pemberton. Photo courtesy Chad Horwedel. Chapman’s CAP 580 is one of five flying today. See it at SUN ‘n FUN. Matt Chapman. Photo courtesy Brian Wilson. Mr. Airshow has been active in the unlimited class of aerobatics since 1969 and has performed airshows in 14 different types of aircraft. A Bonanza? Yep. Jim puts his Bonanza through graceful rolls, low level passes and large loops. Jim Peitz. Photo courtesy Kevin Kanarski. Few aircraft crank out more smoke than Matt Younkin’s Twin Beech. Younkin is back at SUN ‘n FUN with both his day and night routine. Matt Younkin. Photo courtesy Paul Nelhams.